Created with the aim of becoming the Nordic’s greatest poker festival, the first-ever Kings of Tallinn Poker Festival will take place at the Olimpic Casino Olympia in Tallinn, Estonia, from Feb. 16-22. Built around a 20-event calendar, the festival looks to bring to Tallinn some of the top poker names from Scandinavia and the Baltics, and offer them the opportunity to enjoy some high level poker action and at the same time enjoy Tallinn’s charming Old Town, a true medieval gem listed in the UNESCO World Cultural Heritage list since 1997. Highlighted by a €1,100 buy-in Main Event, the festival features a significant number of other interesting side events like a €500 buy-in open-face Chinese poker Event and a €2,000 buy-in two-day high roller event. Worth a mention also the event #20, a Freeroll satellite to the Grand Live in Estoril that will offer everyone the chance to snap a package and fly to Portugal to join the action in one of Europe's biggest brick-and-mortar casinos. Among the top names already locked in for the Main Event are two of Finland’s all-time live poker tournaments winners, Juha Helppi and Kimmo Kurko. According to organizers, the event will see also the participation of Estonian pro and entrepreneur Madis Muur, a player who jumped straight to the top of the country’s all-time money list after his $581,040 win at the PokerStars Caribbean Adventure (PCA) in 2014. "I’m sure that [the] Kings of Tallinn will be one of the region’s most popular poker festivals even in its very first year," the event’s tournament director Teresa Nousiainen explained. In the industry for over 20 years and winner of a European Poker Award (2003) and a Finnish Poker Award (2012), Nousiainen believes a festival like this was exactly what the community expected from Tallinn. "I have had so many players ask me to set up a good, fun poker festival up here in the Nordic area, and specifically in Tallinn. Those who have been here before, always want to come back. So here it is now." An excellent off-the-beaten-path destination for poker players, Tallinn has a solid live poker record as it has been already home to some of Europe’s biggest live poker events. 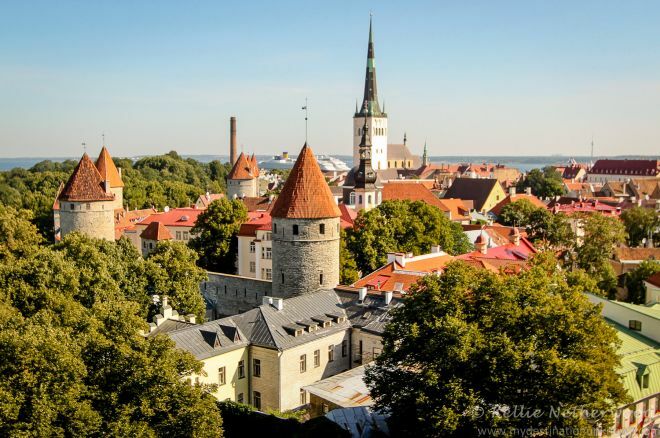 Besides the European Poker Tour (EPT), which chose Estonia’s capital city to kick off its Season 7 and 8 schedule, the city is also regularly on the schedule of other events such as The Grand Live and the Unibet Open. "I am so happy that Olympic Casino wanted to put together this great poker week," Nousiainen continued. "We put a lot of work and thought into this festival, players are going to have a great time here." Along with the tournament, organizers promised to keep the players busy with Hold’em and Omaha cash games with blinds ranging from €2/2 up to €10/€20 (and higher) running around-the-clock.